Obsidian Entertainment has garnered a reputation over the last decade and a half for a unique penchant for writing engaging and reactive narratives, usually with a heavy emphasis on weighing a high degree of consequence against the player's choices. 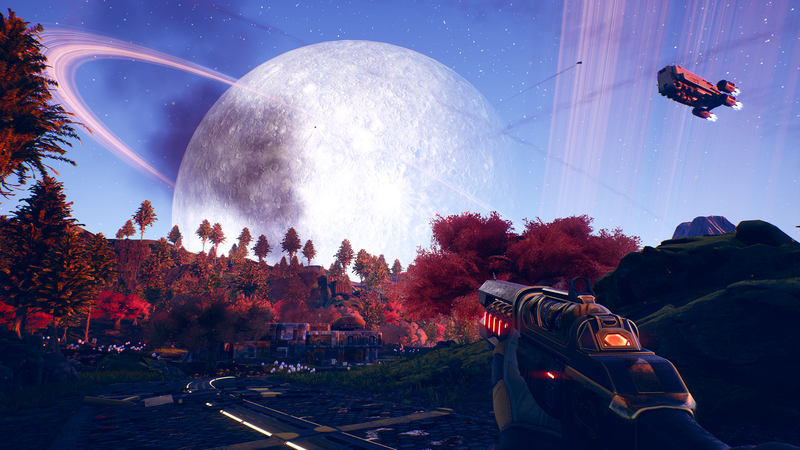 The Outer Worlds seems to be poised to continue that trend. We already saw a glimpse of the game's unique brand of humor in our preview of the title, but being able to see the long-term narrative permutations in a limited amount of time is a bit more difficult. The next best thing though would be to be able to talk about the design philosophies behind writing for an Obsidian RPG, so we did just that. RPG Site was lucky enough to have the opportunity and sit down with Megan Starks, the Senior Narrative Designer on the studio's newest game. Megan has also worked as a narrative designer for Obsidian's fantasy RPGs Pillars of Eternity II: Deadfire and Tyranny. Prior to her time at Obsidian, she's worked on the MMOs Wildstar and Fallen Earth in various design and writing roles. Megan Starks works as a senior narrative designer at Obsidian Entertainment. Her prior experience includes the fantasy RPGs Pillars of Eternity II: Deadfire and Tyranny, the sci-fi MMO Wildstar, and the post-apocalyptic MMO Fallen Earth. She enjoys reading, writing, snowboarding, adorable kitty-cats, and playing video games. RPG Site: So, just to set the stage, how did you arrive here, working on The Outer Worlds? Megan Starks: Well, I went to school for creative writing, but my parents would always ask: 'How are you going to support yourself with that?" To which, I would answer 'Well, I really like video games, so it would be great if I could write for them." RPG Site: I'm sure that convinced them, right? Megan Starks: [Sarcastically] Yea! So after I got out of school, I joined an indie studio in North Carolina, I worked on Fallen Earth, after which I moved out to California to work at Carbine Studios, which is where Tim (Cain) was working at the time. I worked on the MMO Wildstar for about 4 years before coming to Obsidian to work on Tyranny. RPG Site: How has your role changed since working on Tyranny to now working on The Outer Worlds? 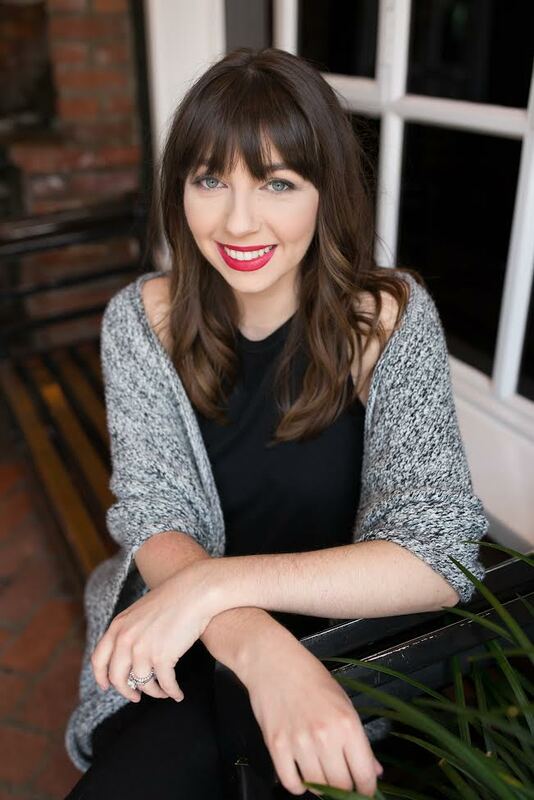 Megan Starks: Well, ever since entering the industry, I've always been both a narrative designer and a game designer, so my role hasn't changed too much, but on this game, I'm the project's Senior Narrative Designer. RPG Site: When you ask fans about what draws them to Obsidian's titles, a common theme tends to be that they love the writing, or love the story design. What do you think it is about Obsidian's games that resonates with fans this way? Megan Starks: I think developers at Obsidian are passionate about both playing and making RPGs, and we have a specific focus for single-player games, which allows us to bring all sorts of different viewpoints to focus specifically on creating worlds that feel fully developed, especially from our writers. It's a strength of Leonard (Boyarsky) to create characters with different types of personalities, relationships, and motivations, and when we have a team of writers all bringing their varying strengths forward, it creates a really interesting mix. RPG Site: What's it like writing for a single player experience such as The Outer Worlds or Pillars of Eternity compared to something entirely multiplayer like Wildstar? Megan Starks: In a way, I enjoy it more because each player gets to help decide the story outcome and carry it with them. For instance, if there's a location in the game that's overrun by bandits and the player takes them out, that might result in local creatures retaking the zone afterward. For a multiplayer game where we have to account for several players that can enter or leave any location multiple times, different things get prioritized to make sure there's a consistent experience from player to player. It makes it much harder to have that sort of reactivity. You could always instance that sort of thing, but then the players couldn't see each other. So that was more writing an environment that supports players being able to engage with each other first and tell a story second, when now I can focus on designing an environment to tell a really cool experience for a single-player first. RPG Site: A key component of The Outer Worlds is its companion system. From Tyranny to Pillars II to The Outer Worlds, has anything changed in scope or focus about how companions are designed? Megan Starks: We want our companions to really emphasize that they have stakes that are important to them. They'll ask you to help out on their quests and they'll speak out against you if they don't support what you're doing, we want their motivations and goals to always be at the center of their character. RPG Site: Just curious, are any companions mutually exclusive, or only available under certain playstyles, such as in Knights of the Old Republic 2? Or can you be a charismatic friend to everyone? Megan Starks: You can recruit all of the game's companions, but some of them will have allegiances to specific factions in the game. For instance, if you decide to support the Board (Halcyon's enigmatic corporate entity), there will be certain companions that will clearly not agree with your decisions, but they won't abandon you unless you clearly decide to part with them. RPG Site: Can you tell me how many companions can be recruited in total? RPG Site: When you're coming up with a new character to insert into the story, whch sorts of aspects of their design that comes first, and what follows later? Megan Starks: It depends on their role in the story -- companions are gonna be different than, say, a quest giver. General NPCs might be designed with questions in mind like 'what are we asking the player to do here? ', and then after that point, we might come up with their specific personalities. With companions, it's more of the opposite -- they're fully written as characters first, and the most difficult part is trying to show why they might be, in a way, more important than other characters for a reason, and tie that into why they naturally want to ally with the player. RPG Site: Did you ever consider having the main character voiced? We've seen similar RPGs from other studios decide to make the protagonist a voiced character in their games, but was the decision to keep the character in The Outer Worlds un-voiced made early or even really deliberated? Megan Starks: We tend really stick to the foundation of our classic style RPGs here, and really want our players to be able to be whatever they want to be. We think players like to see their character in-game as an extension of themselves, and we didn't want to force a character, or even a voice, onto them. RPG Site: At what point did The Outer Worlds go from being a general concept to actually becoming the point where you knew this game was going to be a definitive project? Megan Starks: I think it was about April 2016, around when Leonard (Boyarsky) joined the team, or right before. To be honest, Tim and Leonard were already talking about it, and once he joined, then it was pretty much set. RPG Site: So Leonard joined Obsidian pretty much for this project specifically? Megan Starks: Yes. Tim had worked on Pillars, South Park, and a little Tyranny, but Leonard pretty much joined to work on The Outer Worlds straight away. RPG Site: At what point was the partnership with Take-Two and Private Division formed? Megan Starks: The conversation started in I think late 2016. RPG Site: Now I have to ask about this, did The Outer Worlds project affect conversations with Microsoft about the studio's acquisition, or vice versa? Megan Starks: Since The Outer Worlds was started well before those talks even began, it's been completely separate from anything related to that. RPG Site: Have PC storefronts been decided on for that release of the game? RPG Site: In late 2017 a forum post declared that there would be no microtransactions of any kind in Obsidian's next title, can you confirm this is still the case? RPG Site: Both Pillars of Eternity titles and Tyranny did see some post-launch DLC, are there any plans in place for if and how The Outer Worlds will be supported in the fashion? Megan Starks: It's something we're discussing, but right now our focus is just on the core game. RPG Site: Were there any aspects to The Outer Worlds that are unique to its setting that you haven't had to consider before in designing a previous project? Megan Starks: This might seem like a smaller scale thing, but I think the Flaws are something wholly unique and pretty new, and I think they're cool. They're something Tim thought up, and they tie to this idea that the most interesting characters are the flawed ones. RPG Site: Were there any new obstacles that you had to overcome on The Outer Worlds that you hadn't previously encountered? RPG Site: In Fallout New: Vegas, the player is kinda nudged to make their way to The Tops near the beginning of the game, but they are otherwise left free to mostly go wherever they want. How does that compare to exploration freedom in The Outer Worlds? Megan Starks: I think it's a bit of a mix. We wanted to provide a focused single-player story experience while leaving options open to explore the different environments. Once you get your ship, you'll have a lot of options to explore specific locations, with more opening up as you finish quests or purchase new passes in-game. RPG Site: Pillars of Eternity II: Deadfire had some interesting difficulty settings and modes, such as Path of the Damned, Ironman Mode, and Magran's Fires challenges. Will we see anything similar in The Outer Worlds? Megan Starks: We're still discussing the details, but we've got ideas for things like harder difficulty settings, such as being forced to take on any Flaws offered to you, and the like. RPG Site: When a player reaches the end of a story-focused game like this, and you've got to bring in all of their wildly difference choices and experiences to a close, how do you design for that? Megan Starks: [Laughs]. Well, it's quite a big endeavor. We try to do it in a set of levels. For instance, we'll first look at if the player has killed certain people or not by that point in the story, and then look at where the player's reputation lies for the remaining characters and factions, and so on. It's something that we learned a lot about when designing the ending of Deadfire, and we're in the process of sorting it all out for The Outer Worlds now. RPG Site: So are there certain characters or quest-specific NPCs you're just not allowed to kill or have die? Megan Starks: As a designer, I'm always tempted to just have it made so that you can't kill this person or that person! But we have a philosophy where we feel like it makes for a better gameplay experience to allow the player to do these sorts of things. You can even kill the scientist if you want. RPG Site: So how many endings do you think this game has? Megan Starks: I don't know [laughs]. There's are several! "The Hills are alive... with the sound of MY music"